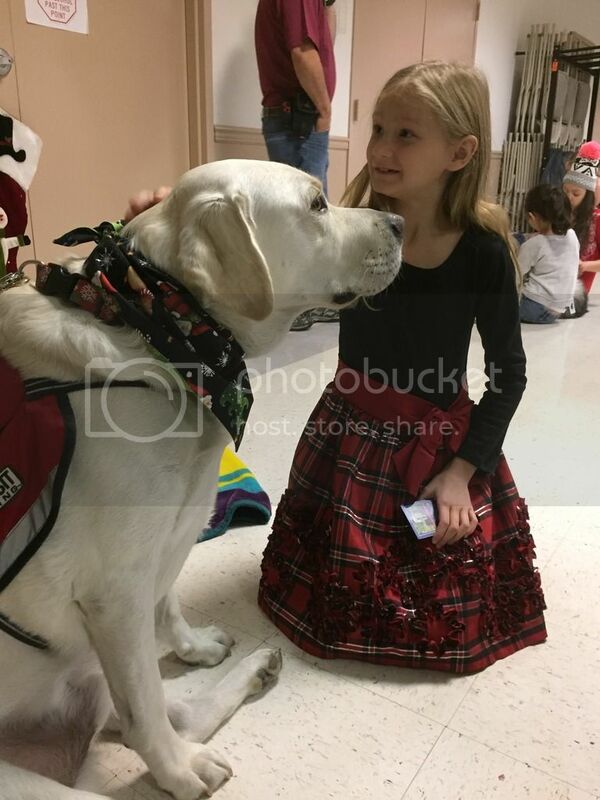 Several of our therapy dogs had a fun visit with Santa on Saturday. The little girls were dressed in their Christmas finest. 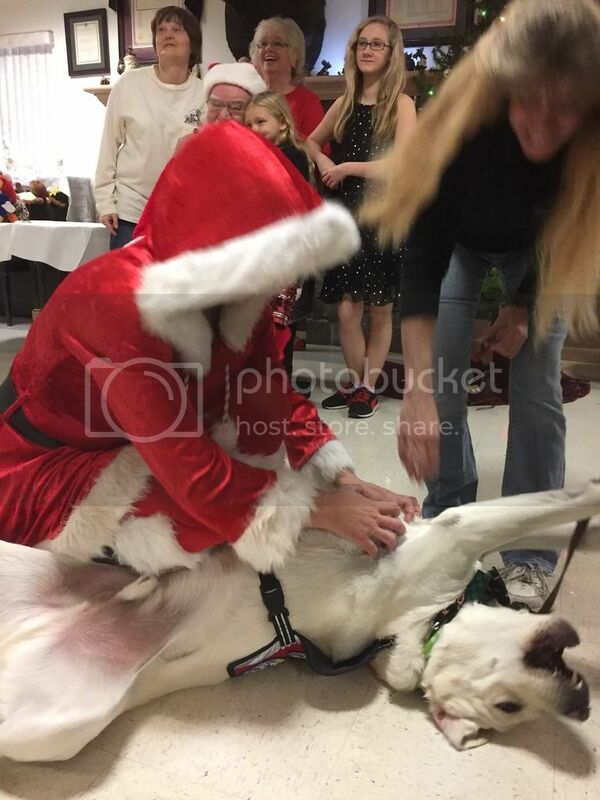 Apparently Mrs. Claus knows how to give a good belly rub from all her practice with Santa! Someone's getting a good tummy rub! Did he tap her on the leg when she tried to stop or did he jump up and get in line for another round? Oh, he is loving that belly rub! Looks like a good day for all. So sweet! 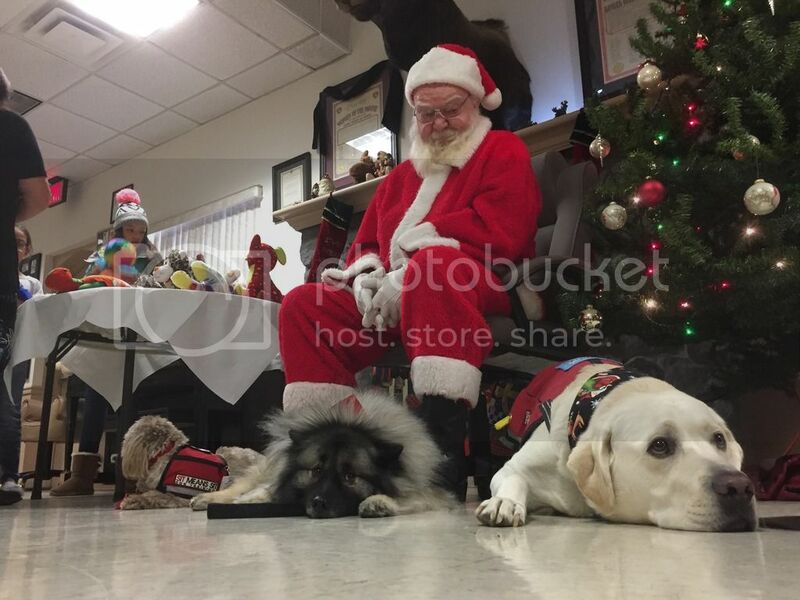 Of course, Santa gives good belly rubs, that's why our furkids bark at them. Only good pups get belly rubs, looks like they're on santa's good list!